Ear surgery or otoplasty is a great way to reshape your ears to a more aesthetic position. This can involve pulling back ears that are too prominent, reshaping the cartilages of the ears to look more natural, or correction torn earlobes. Sometimes, the procedure can be done right in the office under local anesthesia only for correction of minor problems. Prominent ears can occur when the ear is far away from the scalp. This condition is known as a wide concho-mastoid angle. Permanent stitches placed from the back of the ear to the scalp can help pull or pin the ears back into a more natural position. Even more, some patients call to correct stretched out or gauged earlobes. Gauging earlobes involves putting in gauges of increasingly larger sizes to help stretch out the earlobe. However, when the gauge is removed the earlobes do not retract and you’re left with an elongated earlobe. Dr. Schreiber has repaired these types of earlobes that have been stretched out severely. The results can be spectacular giving the earlobe a very normal look! This type of earlobe repair is commonly done right in the office under local anesthesia. The cost varies depending upon the amount of work that needs to be done, so if this is something that you’re considering please call for a consultation. You can also click here for an earlobe repair video by Dr. Schreiber. The cartilages of the ear can also be prominent. This is usually in the form of lack of definition of the anti-helical fold. Specially placed sutures, known as Mustarde sutures, can help sculpt the ear into a more natural position. Many of the ear conditions can be congenital meaning they were present at birth. This term is called congenital ear deformity. Otoplasty surgeon, Dr. Jeffrey Schreiber, has been performing ear reshaping surgery for many years. His techniques utilize incisions behind the ears keeping most of the scar hidden from view. 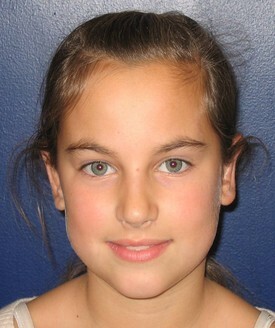 Dr. Schreiber offers otoplasty consultations. During this appointment, Dr. Schreiber will carefully review your history. He will then examine your ears and hold them in the position that you want in order to give you an idea of how your ears will look after the procedure. 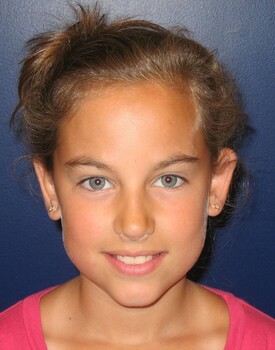 Following this, the ear surgery will be scheduled in an outpatient surgical facility or in Dr. Schreiber’s office. The procedure takes about 1-3 hours, depending upon how much sculpting is required for the ears. The recovery takes about 5-7 days, with light exercise resuming at 1 week. Heavy weightlifting and intense exercise can usually resume at 4-6 weeks. Dr. Schreiber recommends wearing a headband for the first week non-stop and only when not showering or exercising afterward for 5 weeks.